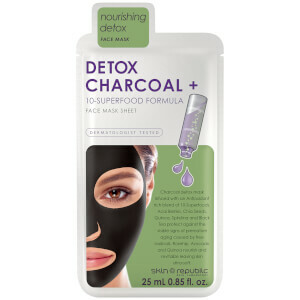 Discover the range of innovative, cruelty-free face masks from Skin Republic here at Mankind. 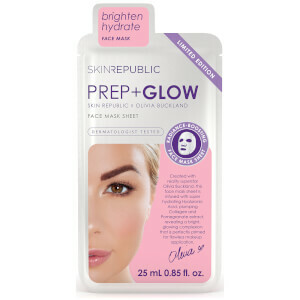 The multiple award-winning skincare range from Skin Republic utilises the latest advances in skincare and nutrient rich ingredients to nourish, rejuvenate and hydrate the skin. 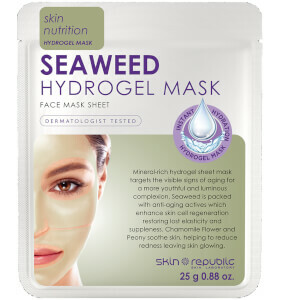 Scientifically formulated and dermatologist tested, they use nature’s restorative properties to help maintain healthy looking, glowing skin. 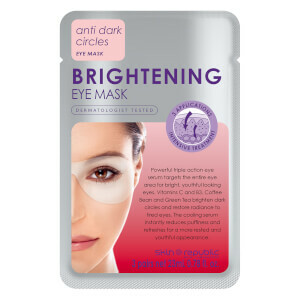 Founded on the belief that everyone has the right to good skin, they offer quality, innovative and affordable products which are cruelty-free and not tested on animals. 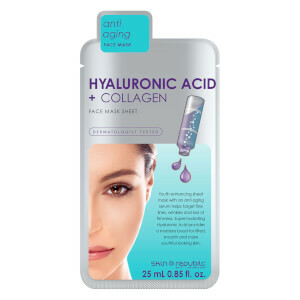 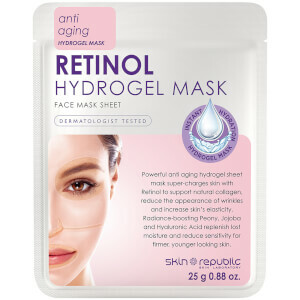 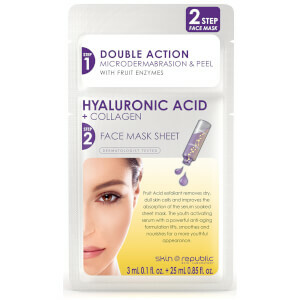 The Skin Republic Hyaluronic Acid + Collagen Face Sheet Mask is an anti-ageing treatment packed with vitamins and antioxidants to replenish and smooth skin. 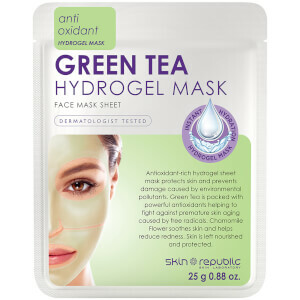 Formulated with an expert blend of plant extracts and minerals, this luxury face mask uses the Transdermal Delivery System to ensure the absorption of beneficial ingredients for maximum efficiency. 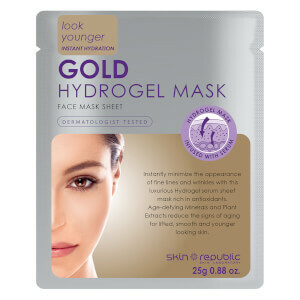 Working in just 20 minutes, it stimulated natural collagen levels whilst lifting and revitalising skin for a radiant, visibly younger health-looking complexion. 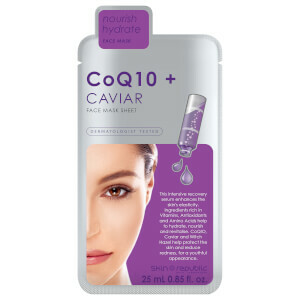 Providing nutrients and long-lasting hydration, continued use minimises the appearance of fine lines and wrinkles. 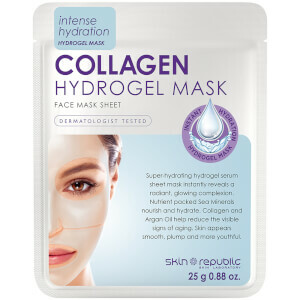 The Skin Republic Collagen Infusion Face Mask is an anti-ageing face mask sheet providing deep level action to firm, smooth and tone the skin. 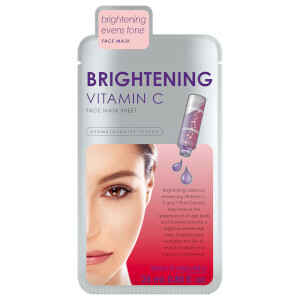 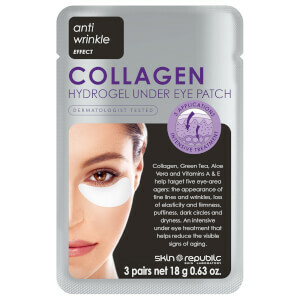 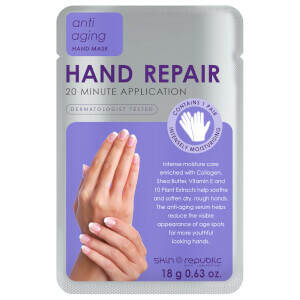 Combining an effective blend of collagen, elastin, Vitamin E and Wheat Amino Acid, it encourages new tissue growth and fights free radical damage to slow down the signs of ageing. 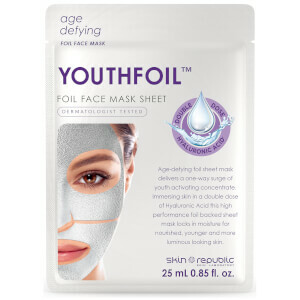 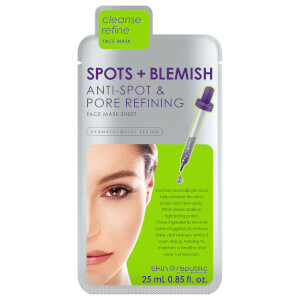 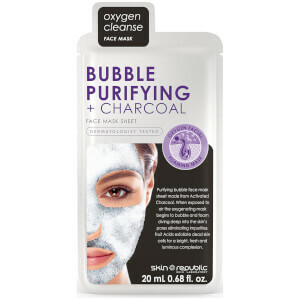 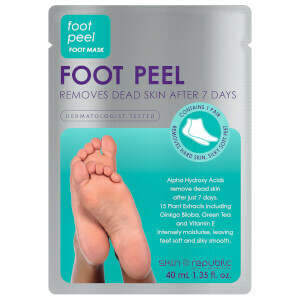 Elasticity and skin strength becomes enhanced, fine lines and wrinkles become smoother and the intense moisture provided promotes healing and rejuvenation.